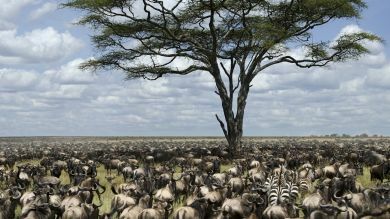 Tanzania has been drawing tourists from all over the world with its endless adventures and rich natural beauty. The popularity of safaris is ever increasing because of the thrill it provides from seeing animals up close in their own habitats. Tanzania’s rich biodiversity makes it unique, and the kind of flora and fauna that one can see here is second to none – from big animals, to small animals, insects, birds, flowering plants, trees, and so much more! For many visitors to Tanzania, the greatest draws of visiting Tanzania are climbing Mount Kilimanjaro and checking out the Big 5 in Tanzania. Climbing Kilimanjaro sounds fun, but what exactly is the Big 5? Nature has its own hierarchy of the animals and the big 5 are the ones that emerge right on top of the food chain. These are the deadliest and most dangerous animals in Africa, and they are definitely the ones you should be looking out for when you visit Tanzania. These animals are called the Big Five not because of their size, but mostly because of the danger they pose, and how difficult they are to hunt. They were the most sought-after animals during hunts in the past, but thanks to increasing regulations, hunting has tremendously decreased, and it’s becoming much easier to find the Big 5 while visiting Africa. 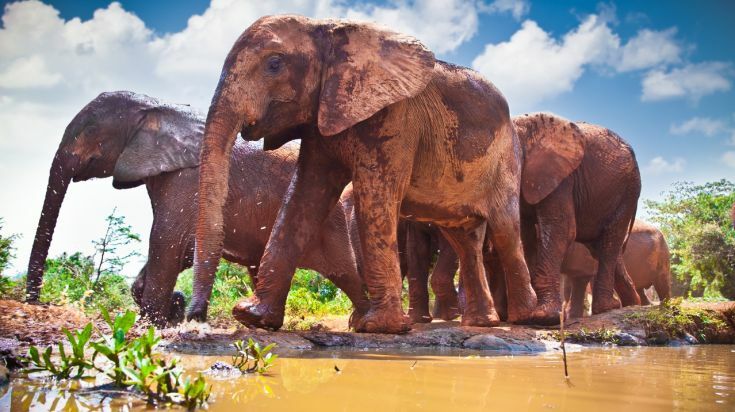 Those who come seeking the Big 5 need not be disappointed, as there are many places in the country where you can watch these animals in their natural habitats. Many safaris focus on seeking these animals- and these are the ones you should watch out for. An alpha male lion lazes under the sun with two lionesses. 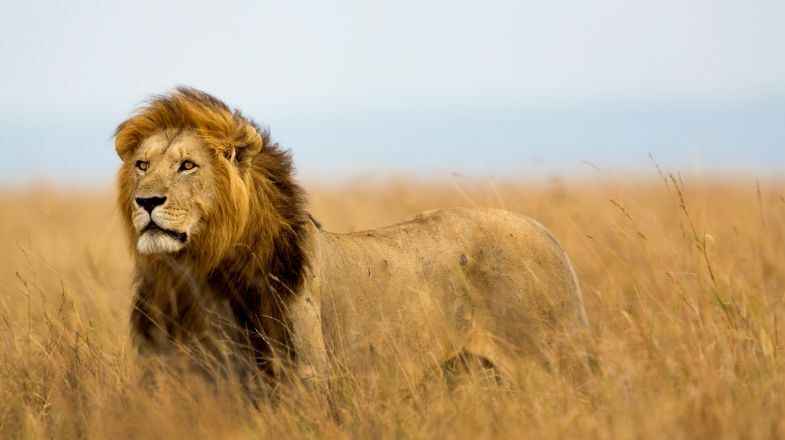 There are around 16,000 lions in Tanzania. They are the apex predators, and their daily lives are quite fascinating for animal lovers. African lions are social animals and they live together in a pride. Each pride has about 3 male lions, 6-12 female lionesses, and the lion cubs. Usually, the lionesses are the ones that go hunting, and feed the cubs. Male lions usually occupy and mark territory of their own, after conquering the apex alpha males that lives in the area. 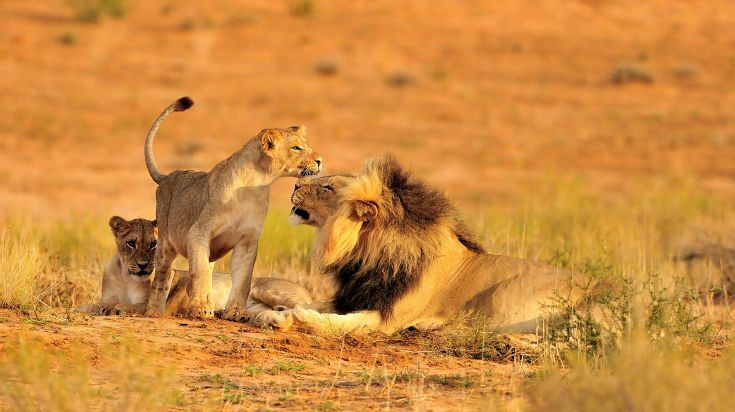 Where to see them: In Tanzania, you can see the lions in Serengeti National Park, Ngorongoro Crater, Lake Manyara National Park and Ruaha National Park. 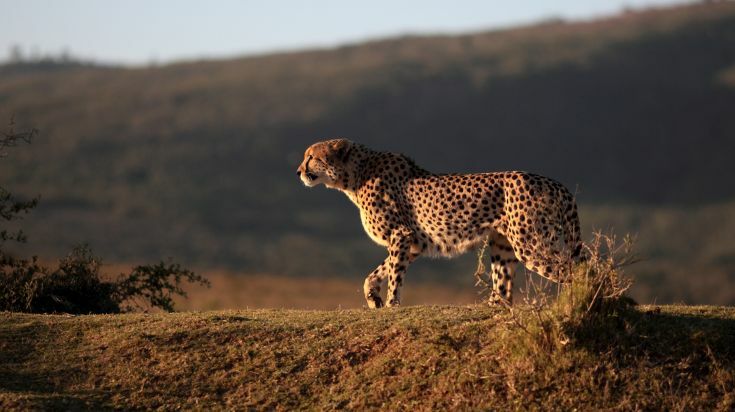 The African leopard is a rather elusive creature- if you manage to view one when you are in Tanzania, you should definitely consider yourself to be lucky. The leopard is the smallest of the big cats of the Serengeti. They are solitary animals, who are fond of hunting at night time. If you go on a night time safari, you might even be able to see them on the prowl. During the daytime, make sure you check the surrounding trees - leopards always use select trees as their bed and dining table (as they draw their hunt to the top of the trees, to prevent scavengers and other animals from getting them). African elephants are the largest land animals on the planet, you will definitely be stunned by their size when you finally get to see them. They are far larger than their Asian counterparts, and have distinctively larger ears that set them apart. Where to see them: African elephants can be seen at the Serengeti National Park, Ngorongoro Crater, Tarangire National Park, Ruaha National Park. 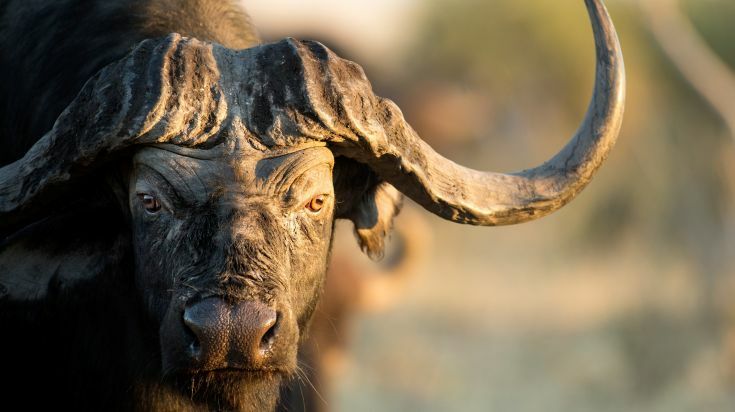 The African Buffalo, or the Cape Buffalo, is one of the most unique creatures on the planet. They look bovine and timid, but do not be fooled by their looks. These buffaloes are incredibly strong and ferocious when provoked. In fact, the African buffalo is the most dangerous animal to hunt in the continent - more so than the hippopotamus! The buffalo's main predator is the lion, who must employ tactical methods to hunt them, especially to avoid the thick, bullet-proof horns on its head! There are two types of rhinos in Africa: white and black rhino. Fun fact? Both of them have grey bodies. What sets them apart is the shape of their lip: the white rhino has a square lip, whereas the black rhino has a pointed upper lip. These rhinoceroses are enormous, and solitary. They look rather prehistoric in their structure- especially the black rhinoceros, with its uniquely shaped horns. 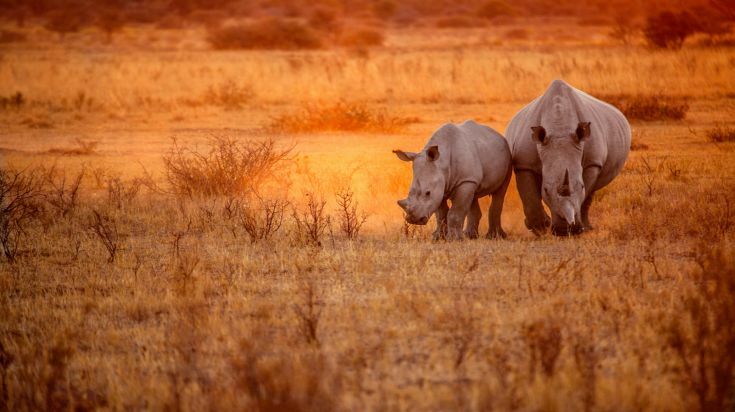 The rhinoceros are critically endangered due to years of poaching. If the current conservation efforts do not work, the chances of extinction is high.